A perfect list of best 10 free iPad applications for kids, currently most downloaded. Let your little ones spend some great time with these top free apps on your iPad. Are you looking for some of the best kid’s apps available on iPad? Then look no further! The following apps are suitable for children to have some fun, and these are the most downloaded kids’ apps currently available in the Apple’s App Store. Here we select 10 of the most interesting children’s applications for the iPad. Children will no longer bother you while you work, and you will not just dismiss them. Best of all you can download them for free in the App Store! The iPad is an excellent device for children, its attractive screen and interactive capabilities make it perfect for even the youngest. Caillou Check Up – Doctor’s Office is a fun application for iPad where the children will be able to play all they want at the same time learning a lot about the profession of medical and human body. Go to the doctor’s office with Caillou and play as a doctor themselves on your iPad & iPhone, solve fun mini-games that teach children the secrets of the human body, the necessary care and more. Measure your height and weight, make a vision test, eye-popping plays with medical instruments as stethoscopes, and more! The app is designed with bright and cheerful colors, and also includes a lot of illustrations and animations, for sure you little ones will like the game. Explore a magical underwater world with fish Fins. 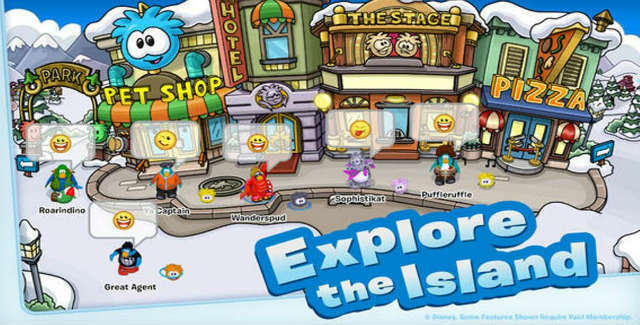 Guide him with your finger across the water and discover dozens of fun surprises, like sunken treasure, mysterious monsters or ice cream in over 30 fun animations. Invite Fins out to play and let the adventures begin. Top 10 Best Kids Games For iPad And iPhone Free. 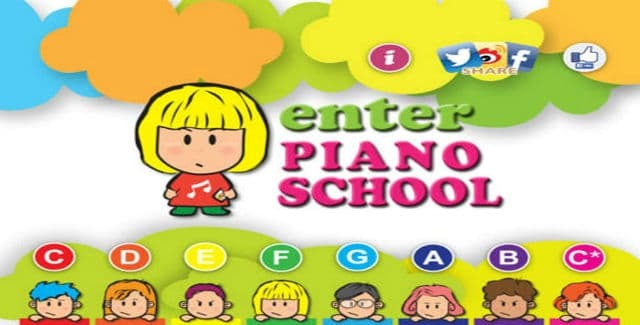 Piano School Lite is a musical app for all ages of people, educational games for babies or a professional who want to learn and play the music on their iPad. You can press sound scores, or play along with color scores, Music Sheet. Pocket Pond is a very interesting iOS app for young children and a beautiful fun toy for older children and adults. 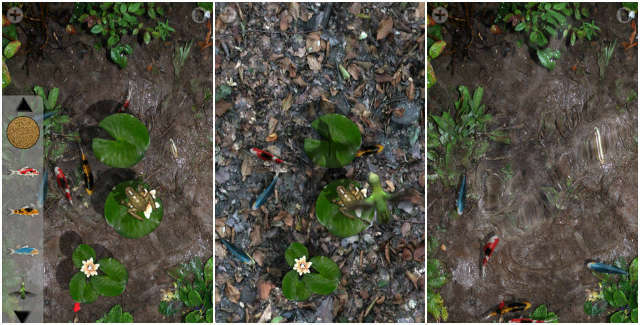 Pocket Pond turns your iPad screen into a small pond with a rocky bottom, water lilies, clear water and fish. Water gurgles if it stirs up a finger, and the fish spread out beyond the screen. You can choose from some pond, add water lilies and customize them, and select what type of fish you want to get around in the water. The app also provides natural sounds to be very relaxing, and we recommend using headphones for a better experience. The fridge is empty, and Garfield has been grumpy. Can you help to improve his mood? It just takes a bit of fun, food and lots of laughs! The more you care, the happier Garfield gets: offer him his favorite foods, keep him entertained with various toys, etc. Simulates various heat-sensitive surfaces reacting to the heat of your hands. You can choose a background color and fingerprints. It is also possible to select the speed with which those marks disappear. Young children usually like to draw with their fingers and Heat Pad Lite allows them to organize fingertip drawing anywhere, at any time and without damage to the environment. Simple, but surprisingly relaxing and entertaining! 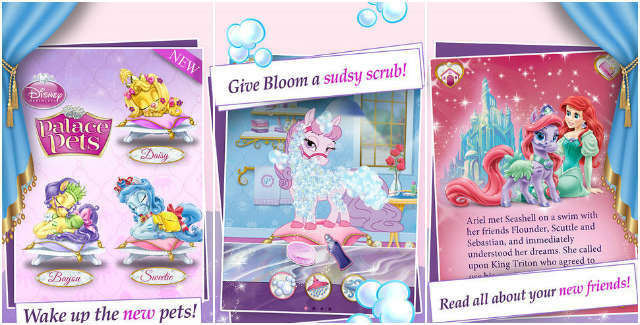 Designed for the little princess of the family, the application presents the pets of the famous Disney princesses. Enter the magical world of Disney Princess. Discover and care for all pets of your favorite princess, how they met the princesses, explores their unique abilities, and try to spend a pleasant day. In the interactive classrooms, you can wash and brush pets and dress them with fun accessories! After grooming pets, you can take pictures and save! In addition, the application includes 10 stories to interact with images and animations really endearing. Do you have desire to play with them? Introducing to Talking Baby Hippo, he is adorable! This smiling little hippo loves to play. Do your kids play with the little hippo: repeats his words, let him tickle, take care of it, give gifts like carrots or chew for the butterflies and balloons to play with. Play with your kids and make fun for the whole family. One day a handsome prince met a princess … or a frog or a prince … With this app, children can play any shows, first selecting the composition of the actors themselves, and then coming up with their replicas. 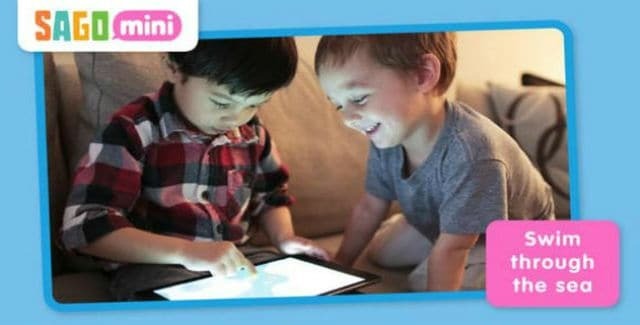 All these applications would be an excellent addition for parents who have little kids and an iPad device, helping entertain and educate, while simultaneously introduce their child to the technological world. With the apps above, learning and fun for your children is secure and comfortable. You can browse our Best Apps section for more Best Free Apps and Games for iOS devices in different categories. Thank you for staying with us.